Blockchain has dominated headlines lately due to its role in supporting cryptocurrencies. However, blockchain has a bigger role to play, especially in the supply chain. It has the potential to revolutionize the way we conduct business. Rumors abound that blockchain will someday replace EDI systems. Those reports are greatly exaggerated; they are here to stay. In fact, blockchain augments EDI. Read on to learn how to make the most of your investment in your system for greater transparency and efficiency. The blockchain is a shared digital ledger that records the history of transactions. It cannot be changed once a transaction is made. If someone wants to put a new transaction through, all parties must agree before it can be added to the ledger. As each transaction is approved to enter the ledger, it is placed in a "block." Transactions are blocked together. Each block is connected to preceding and succeeding blocks, and they are added to the next block in an irreversible chain. How Does Blockchain Augment EDI Systems? It would sound at first blush that blockchain is an alternative to EDI systems; it offers a way for trading partners to communicate quickly and clearly, without the risk of errors or repudiation. While blockchain has enormous potential, it is important to remember that no new technology succeeds with the “rip-and-replace” method. They will have a greater impact in both the short and long term if they augment existing, well-established technologies such as EDI systems. So, where does blockchain fit in? Consider how transactions take place through EDI systems, which typically involve a buyer, a seller, and a third-party logistics provider. EDI system transactions hinge upon one-way, point-to-point communication, meaning that two out of the three parties can exchange messages with one another, but the third party is left out. 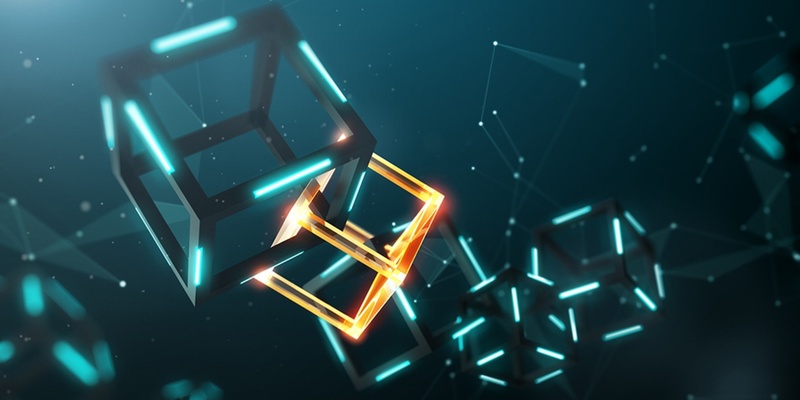 Since blockchain is a shared ledger, everyone can see what is going on (including supplemental events such as information from IoT-enabled devices). Disputes would not happen, repudiation would be unnecessary, and sharing information would be much more efficient. Blockchains are most likely to run concurrently alongside traditional B2B Integration technologies, however, we expect to see integration in the future with some solutions enabling users to have a single pane of glass for their supply chain transactions. They will no longer have to worry that some crucial piece of information has been left out, or that another party will repudiate the transaction for any reason. Blockchain is a trustworthy, dependable solution that gives everyone peace of mind about their transactions. Blockchain technology has the capacity to transform the supply chain. However, it will not do so at the expense of EDI. EDI systems still have a vital role to play in ensuring the smooth, accurate, and timely flow of information between trading partners. To learn more about how blockchain can work with EDI systems, contact us.